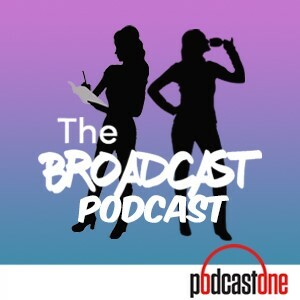 Erica and Emma are joined by BroadCast Semi-Permanent Guest Colleen Wolfe as they sit down with their NFL Network colleague, Cynthia Frelund, and converse over a solo cup of chardonnay from the gas station. The broads ask Cynthia the tough questions: What's it like to be hot AND good at math? Is her hair real? Will she ask Jennifer Lopez to be on the podcast? Also, Emma gives Cynthia some math-themed pickup lines for her Tinder profile and Producer (Sabrina?) enlists Cynthia's help, as she reads off some very detailed word problems from her math homework. Lastly, in honor of Frelund's graduate degree from Northwestern University, Emma, a Northwestern reject, asks the broads to perform her screenplay, which highlights the polarizing experiences each broad had when receiving the big news from the prestigious institution.